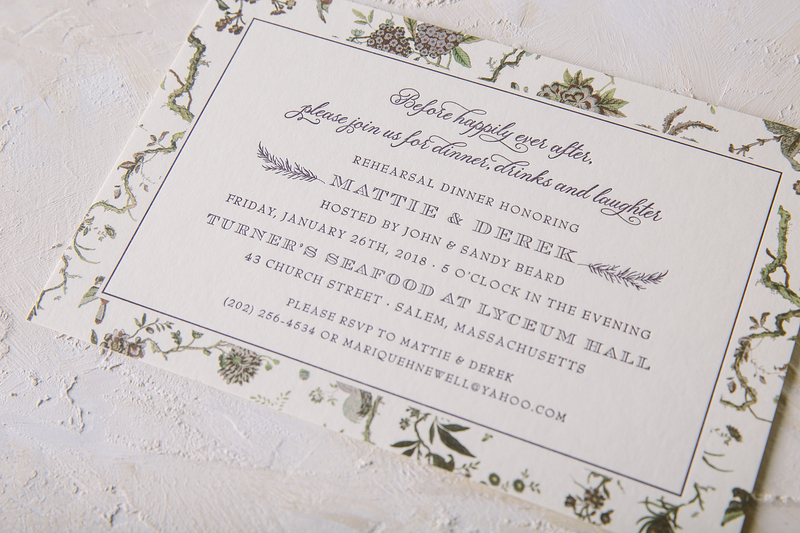 foil stamped wedding invitations - Smock. 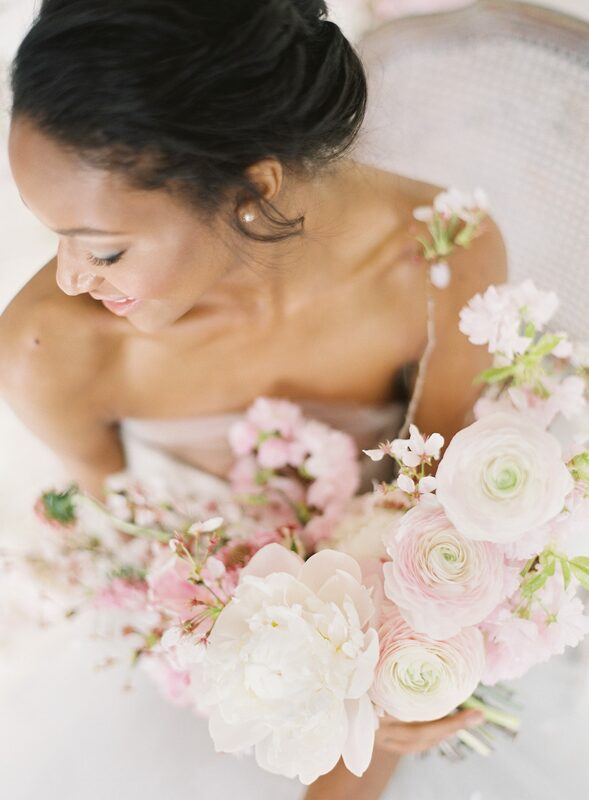 Sarah and Brett’s wedding was held at The Villa at Sunstone Winery in Santa Ynez, California. 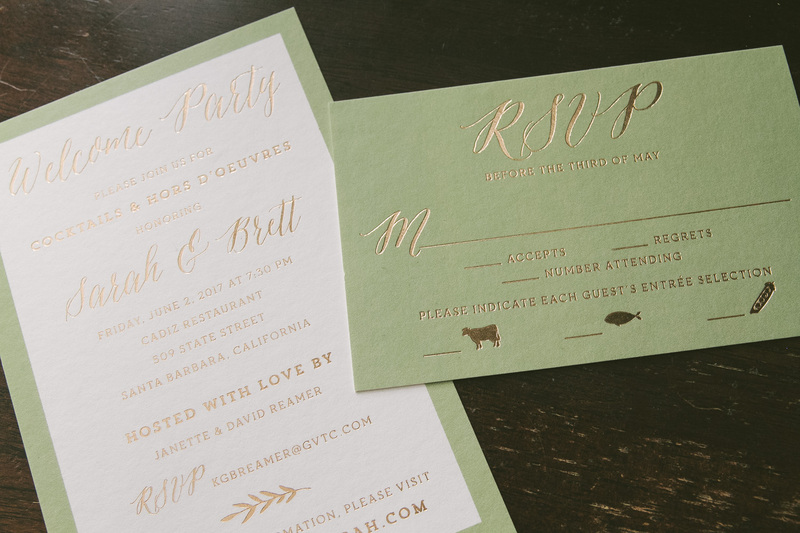 These bronze foil wedding invitations were the perfect first impression of what their big day would hold that coming June. 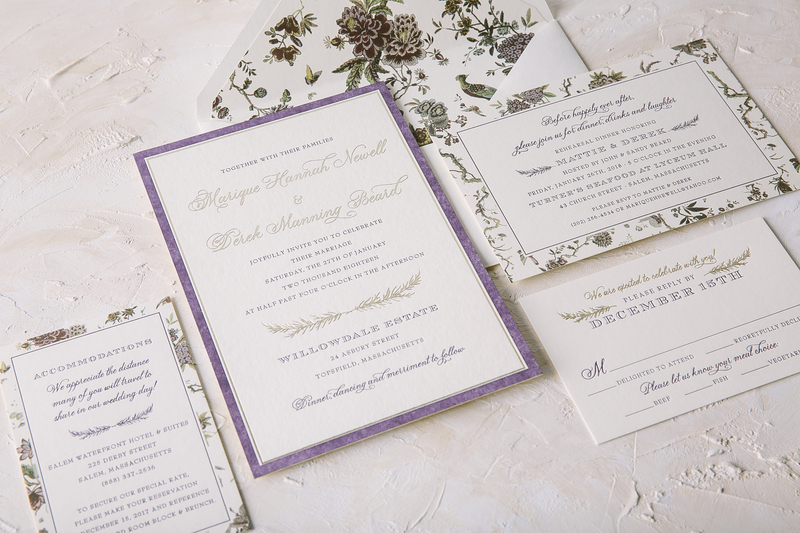 With the bride and groom’s name first and foremost on the page dressed in a modern, free-flowing font, it’s easy to see that this wedding will be a sweet yet sophisticated affair. 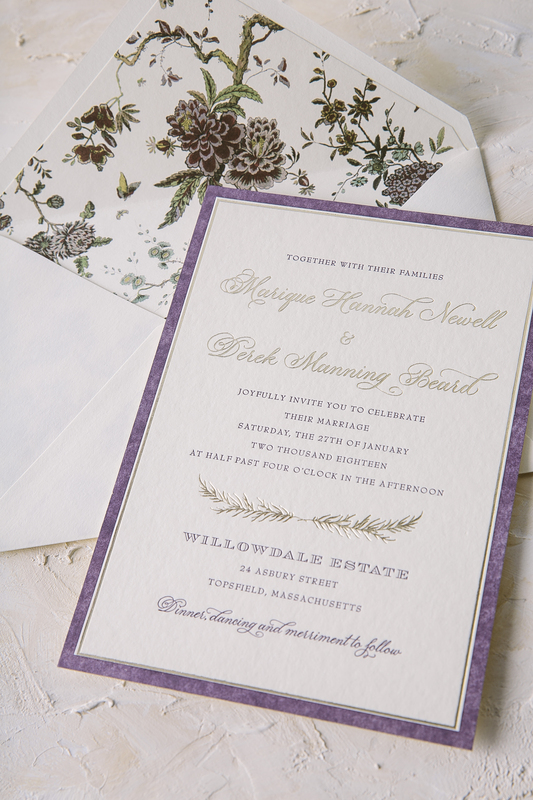 When their guests turn over the invitation, they will find a botanical pattern repeated in bronze shine adding a subtle wow factor. 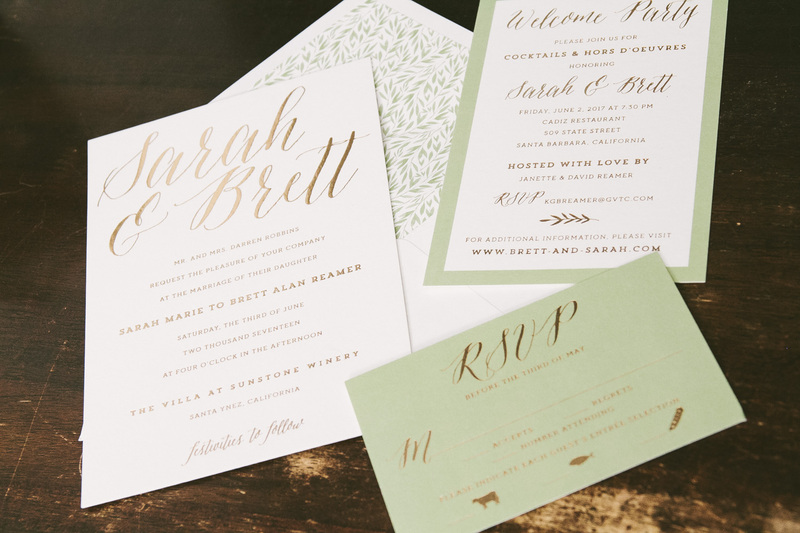 To give the suite a pop of color, our sage ink added another level of appeal to the reply and welcome party cards. 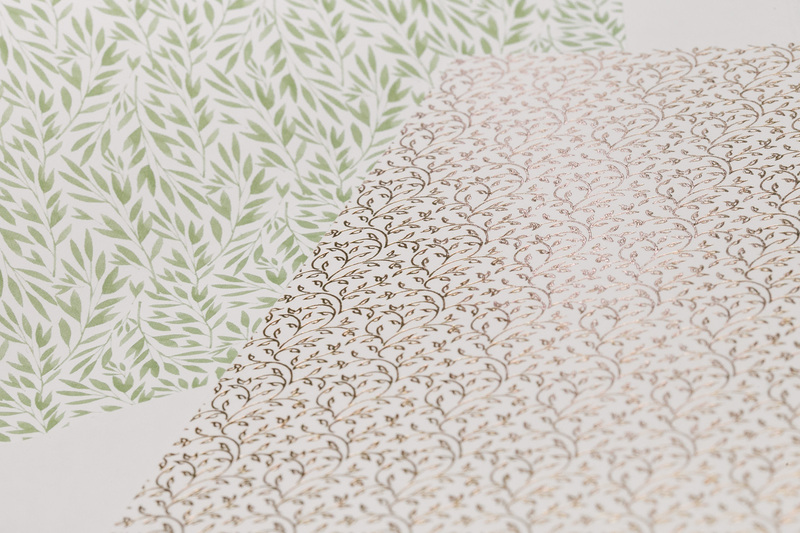 The envelope liner was also printed in sage carrying a complementary leaf pattern as the finishing touch.